It is true that we are in love with stories. We are «storytelling animals»(Gottschall 2012) and it is our genetic, biological predisposition to create stories. It is in our human make-up. In storytelling not only the Wernicke’s area (language comprehension,the brain area that intakes information) and the Broca’s area(language processing,the brain area that processes this information) are activated. These are the cerebral areas that are stimulated when we are presented with a bullet Power Point presentation or a data list. When we tell or hear a story, all brain regions are engaged: the motor cortex(movement),olfactory cortex(scents),auditory cortex(sounds),sensory cortex and visual cortex(shapes/colors) in addition to the language processing parts (Wernicke’s&Broca’s areas). Stories, moreover, don’t only transfer emotions but they also mold our thinking and shape our actions and belief. Princeton‘s Uri Hasson remarked that «by simply telling a story» «ideas, thoughts and emotions «can be planted into the listeners’ brains. Storytelling,eliciting affective responses and enabling the emotional connection, is the solely way to instill ideas into others’ minds and hearts. Now, let’s think of the last buy we made. Was it a mobile phone or holidays? Surely the buy we did was not based on facts but on emotions (Joshua M. Evans, Founder&CEO EnthusiasticYou!). On the reason, namely, why we and our customers choose to buy something. Our buying decision is based firstly on emotions and then on rational facts that «justify» this decision. Our decision had been made many days before we entered the tech shop or before booking tickets to California. It was made when we envied our friend’s new cell phone and when we felt happy when our father showed us photos from this journey to USA. 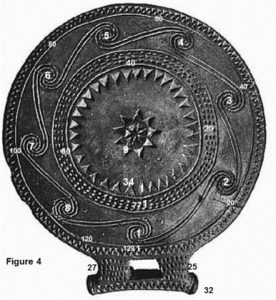 In an insightful study conducted on the Aegean frying-pan vessels,the results of which were presented at the 21st international conference of the SEAC (Société Européenne pour l ‘ Astronomie dans la Culture),it was found that a probabilistic interpretation of their use is their functionality with respect to the calculation of the woman’s delivery day. A story of brain and heart in luxury hospitality and destination management is beautifully articulated by Nanos Fireworks too. 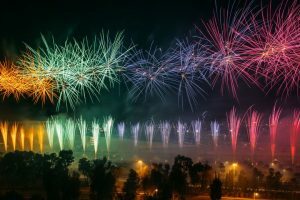 Pavlos Nanos, universally recognized Pyro & Special FX director (participation in Athens 2004 Olympic Games, TomorrowLand etc and 8 first international awards), highlights culture and social meanings in the sky through fireworks choreographies. This happens with pyromusical shows and the «pyrotechnic mapping», allowing him to design, with high accuracy, words, letters and shapes through 3D pyrotechnic pixels. In 2014, Pavlos through a magical theatrical performance of immersion with fireworks, passed his own message for social crisis, poverty, war, leading his 150,000 spectators to a «catharsis» and inspiring «wakeful dreams». The use of shapes in that pyro allegory and Barthesian semiology was impressive: a sad face turning into a smiling one. In this vein, Pavlos Nanos leverages the attention of pyrotechnic stories as an innovative memorable experience generator to lodge a hospitality encounter in traveler’s memory and heart. Moreover, he, persisting in uniqueness, cognizes each fireworks show as the visualization of a signature story: Once a wedding couple asked him to paint in the sky a trefoil (logo of a Greek football team) as they had met in the football stadium; another example of the importance of not doing «marketing» but «customering»,an idea by Joe Pine and the very essence of Luxury Hospitality. Thus, he maps his pyro performances as a theater (theatron) in its first, ancestral, ancient Greek meaning as the site where events take place and responds to the betting challenge of synaesthesia and «evocative stimuli», namely what fires up the emotional chord leading to reflection, persuasion, decision and action, that is the intention of (hospitality) art as «embodied meanings» (Danto). Besides, we «are not thinking machines that feel; rather, we are feeling machines that think»(Antonio Damasio). 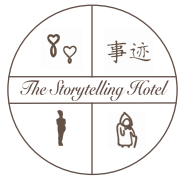 In a nutshell, such personalized narratives epitomize how luxury hospitality market can create value that builds emotional commitment with the brand. And these are stories that instill the most beautiful rule of Luxury Hospitality and life:»we are beasts of emotion more than logic. We are creatures of story, and the process of changing one mind or the whole world must begin with «Once upon a time» (Gottschall).